Be safe and be seen with the Ancol Soft Blinker. 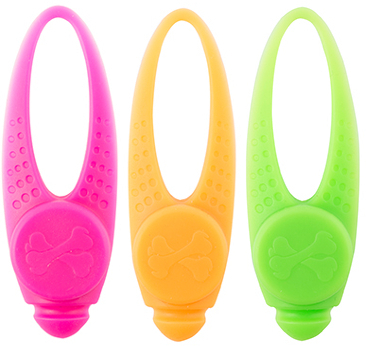 This small but bright little blinker can be wrapped around a collar, lead, or bag. This instant illumination will make your dog unmissable. The soft blinker has the added bonus of being water resistant. The blinker has three different light settings: two flashing settings and one steady light setting which will alert drivers and other pedestrians of your dog's whereabouts or to help you keep track of your dog when they are in open spaces at night. The Ancol Pod Blinker has a replaceable battery. There are three colours available; orange, pink and green. Reflective and illuminating items are excellent ways of staying safe by being seen. Flashing collars, reflective leads, and reflective dog coats are also available from Ancol. There are currently no questions for Ancol Soft Blinker - be the first to ask one!